Please note that the original leaders of Zen have stopped playing and have disbanded Zen Alliance in Universe 38(first real active universe for Zen). If any one knows what has happened to the other alliances, please send me a PM or a mail. I am the forum owner. If anyone has a problem with managing the forum, that person should contact me. If anyone wants to be an admin or moderator, contact me. We don`t play anymore, so we don`t have anything to do here but i`m still willing to help you guys. Does anyone want to join a new universe and "open" Zen there? yo vadeeeer!!! long time no c... how's it goin?? XD now i'm off space ships and on fantasy rol games... the current one i'm in right now is on Runes of magic... how's your life dude? I`m doing well. How are you doing? Good to see you two, it's been ages. Pan is leader in 43 and Andromeda. I don't stop by that often, but last I saw they were doing pretty well. I made him an admin several months back so he could handle whatever he needed to. Thanks for the good word IMADV8. We gained some new members in 43, Andromeda is fairly small but doing okay. I am also into a Facebook game called "Kingdoms of Camelot". We would love to have you in Andromeda or 43. I just saw this and dont know what happened to uni 38. The original leaders were me and psycotic X and I don't remember who we handed leadership over to. I don't know why they would disband it either. Me and Psycotic X are starting an alliance together in tomorows .us uni Capella. I am hoping it would be as successful as Zen was in its prime. I suspect it will be roughly the same as here, just the two of us have taken a long while to think, and go through school. We have decided it's time to start again. I dearly hope some of the great people we have met here will decide a new start is in order to build another great dynasty as was here. This time will indeed be better. But only with the people we had here. If any of you join the new uni in .US tomorow. Search for the alliance Genesis. I will be under Duck. If you wish to join us once again, please include when you apply, your name from here. I will make sure you are taken into a position you deserve. Dont give up hope on Zen, but I dont think there is much life left here. A new start would do much of us good. I dont want anyone reading this thinking we abandonded Zen. Me and psycotic X along with so many of the ancient siths spent countless hours bringing this place to where it was when it was fully functional. I would be very excited to have some of the very skillful players and leaders I have seen here come and join us. Think about it. It will be very worth your while. You handed the leadership to me. Then I created this forum together with arekkusu and we did a lot of great changes. We even did war against Aoff. Then I handed the leadership to Lynisec as I was moving to a new country. Now they disbanded for an unknown reason and my uni 38 account was deleted although I was in vacation mode. I think Lynise quit about six months back. I don't know if she gave leadership to someone else or just up and abandoned the game, but it's unlikely that she was the one to have disbanded the alliance. I'll ask next time I see her. Arekkusu, you should play with us in .us . Lynise doesn't remember what happened. Doesn't really matter, I guess. I`m opening Zen in the next Universe because I won`t be having any exams soon and I really need to get back to Ogame. Next time i`ll write important exams will be in 2 years. Who wanna play in the new universe? well i just got back to you all, so not sure whats been going on but will start to look at what you are hoping to gain and try to be an active part of it, great to see you all, missed your chat! 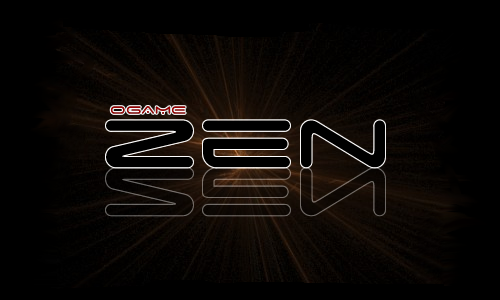 Come over to Andromeda on ogame.org and join us in Z E N (with spaces). And perhaps i can find an upgrade when over there, looking forward to seeing you soon! Lord Vader wrote: I`m opening Zen in the next Universe because I won`t be having any exams soon and I really need to get back to Ogame. Next time i`ll write important exams will be in 2 years. Who wanna play in the new universe? We need lots more members and I will help you get started. Please come help in Andromeda!